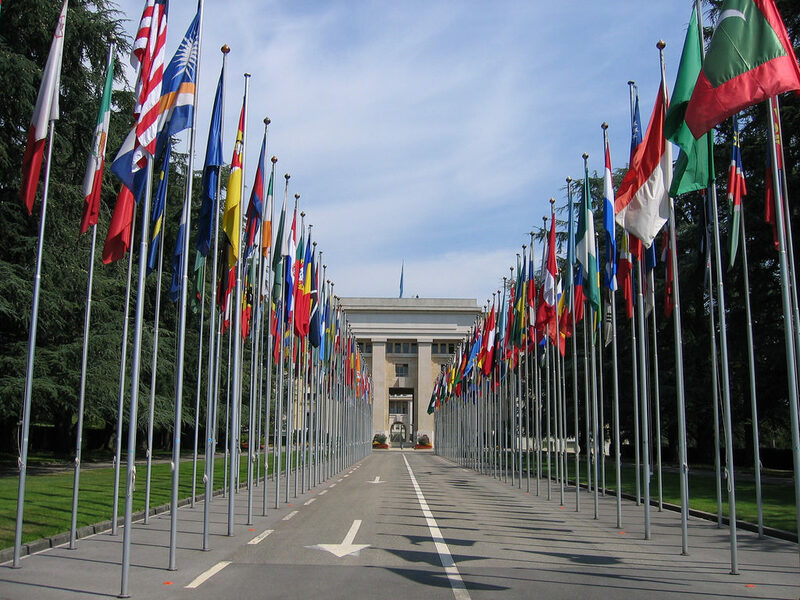 Article18 has partnered with two fellow advocacy organisations to submit recommendations on Iran to the 34th Universal Periodic Review (UPR) of the UN’s Human Rights Council. In the eight-page document, Article18, CSW and Middle East Concern call on Iran to ensure that “all religious minorities are recognised and able to fully enjoy the right to freedom of religion of belief”. The submission also calls for the “immediate and unconditional release of all those detained on charges of blasphemy or apostasy, or national-security charges related to their religion or belief”. The focus of the submission is the plight of Christians – particularly converts from Islam – and Baha’is. It notes that Christians continue to face the “forced closure of churches, arbitrary detention on spurious charges, harassment, surveillance, and excessive prison sentences delivered after legal processes that fail to respect due process”. Baha’is, meanwhile, as an unrecognised religious minority, “continue to be subjected to hate speech and discrimination in law and practice”. The submission highlights the dozens of Christians arrested over the past year, including as many as 150 in the final two months of 2018 alone, across a number of different cities. This pattern has continued in 2019, with the arrest of at least 11 more Christians – including nine in the northern city of Rasht. Most of those arrested – usually during peaceful gatherings in private homes – face charges of “action against national security”. Several have been handed lengthy prison sentences of up to 15 years. The submission calls for an end to these “excessive” charges and for Iran to “end the criminalisation of the peaceful expression of faith”. Meanwhile, the submission notes that Baha’is, as well as Dervishes, have been “increasingly targeted with hate speech” and face a “raft of discriminatory and repressive policies, including with regard to education and burial sites”. The submission notes that during the second cycle of the UPR, Iran only accepted six recommendations related to religious freedom and rejected nine recommendations to take steps to protect religious minorities from repression, and a further seven calling specifically for amendments to laws and legislation to achieve the same. Furthermore, Iran accepted two recommendations to ensure freedom of opinion and expression, yet the submission notes that “despite this, religious minorities are exposed to multiple restrictions of freedoms of expression, opinion and assembly. Arrest, detention, physical and emotional abuse during interrogation and other oppressive actions are commonplace for religious minorities, especially those not recognised within the constitution, and including Christian converts”. This is despite Iran having acceded to the the International Covenant on Civil and Political Rights, which guarantees the right to religious freedom under article 18, and Iran’s own constitution declaring that “the investigation of individuals beliefs is forbidden, and no-one may be molested or taken to task simply for holding a certain belief”. The submission also notes that while Iran accepted a recommendation to ensure due process and fair trial, particularly during any process leading to the death penalty, at the same time it “somewhat contradictorily” rejected other recommendations to ensure a right to fair trial, to guarantee due process in all proceedings, and to ensure continued access to legal counsel. “Due process has not been respected in trials involving Christians and Christian converts,” the submission notes, highlighting the consistent use of “infamous and partial judges” who hand out heavy sentences and in some cases even put pressure on converts to recant their faith. The submission follows Article18’s inaugural annual report, released in January as a collaborative effort with CSW, Middle East Concern and fellow advocacy organisation Open Doors. That report highlighted the “unprecedented” wave of raids on private house gatherings of Christians at the end of 2018 as the culmination of a year in which religious freedom continued to be violated in Iran. It called for the “immediate and unconditional release” of those still detained, for a “careful investigation” by the UN’s Special Rapporteur on Iran, and for the international community to “promote freedom of religious and belief in Iran and to keep this principle in mind in political or economic discussions”. The UN’s Special Rapporteur, Javaid Rehman, in his latest report, bemoaned the “heavy sentences” given to Iranian Christians and called for the “release of all those imprisoned for having exercised their right to freedom of religion or belief”.